Change could be about to hit Cuban radio. After five decades, the government has done away with a blacklist of musicians and singers that had seen dozens of artists banned from the nation's airwaves. The list was never officially published, but artists who abandoned the Communist-run island and spoke out against the 1959 revolution found themselves struck off radio playlists. They included Celia Cruz and Havana-born pop-singer Gloria Estefan. Now, in another small sign of change in Cuba, the blacklist has gone. News of the change emerged last week but there has been no public announcement: that would mean admitting to censorship in the first place. The Communist Party has not authorised any official interviews. But several of Cuba's biggest radio stations have confirmed to the BBC that the ban has been overturned. They say there were at least 50 artists on the list as recently as a few days ago but station directors can now decide for themselves what to broadcast. Among those formerly-banned artists were Grammy-winning saxophonist Paquito d'Rivera, who defected from Cuba whilst on tour - leaving his family - and was openly critical of Fidel Castro; singer Willy Chirino, who launched his musical career in Miami after leaving Cuba as a child; and jazz pianist Bebo Valdes - father of the now-legendary Chucho Valdes, who remained on the island. Spanish crooner Julio Iglesias was blacklisted at one point, too, then excused. 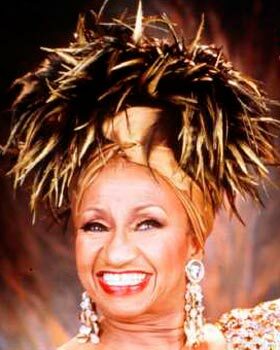 And a whole generation has grown up without the salsa of Celia Cruz - widely renowned outside Cuba as a master of her art, but dismissed at home as an icon of the anti-Castro diaspora. The decision to lift the official ban has not transformed the airwaves: in fact it is not clear whether any station has yet played the de-censored artists. The authorisation was for the music to be aired "where appropriate" and some albums would have to be dug out of dusty archives, if they weren't destroyed. But the step is seen as a loosening of tight, central control - at least in the cultural sphere - and perhaps another sign that attitudes to Cuban exiles, once routinely excoriated as traitors, are softening. Radio station staff in Havana told the BBC they were informed at meetings last week that the list "served its purpose," but was out-dated, and that its removal was part of Cuba "opening up to the world." "The artists were banned because they were making statements against Cuba," explains cultural journalist Reny Martinez. "Things have changed. Something has changed in the Party. I think there's new flexibility with culture," he says. Still, the limits of that apparent new spirit of tolerance have yet to be tested. Radio station staff said they would "wait and see" for now, before revising their playlists. But a decade after her death, a new generation of Cubans could eventually be introduced to Celia Cruz and her salsa. Gloria Estefan and others could finally make it off the pirate CD stalls and onto the airwaves.